The four other themes of An Inspector Calls discussed on OxNotes are Responsibility, Conflict between characters and classes, Social Class and Sexism/ Gender Differences. Click the links to visit those themes. This page discusses the 'generational gap' idea used by J. B. Priestley. The younger generations are more accepting of socialist ideologies, Sheila and Eric accept their part in Eva’s death and feel guilty and responsible (see theme of Responsibility). The older generation, Mr Birling and Mrs Birling, and in many ways Gerald Croft, strongly believe in capitalism and caring only for themselves. The parents are unable to admit responsibility. Gerald Croft is caught in the middle, being neither very young nor old. In the end he sides with the older generation, perhaps because his aristocratic roots influence him to want to keep the status quo and protect his own interests. 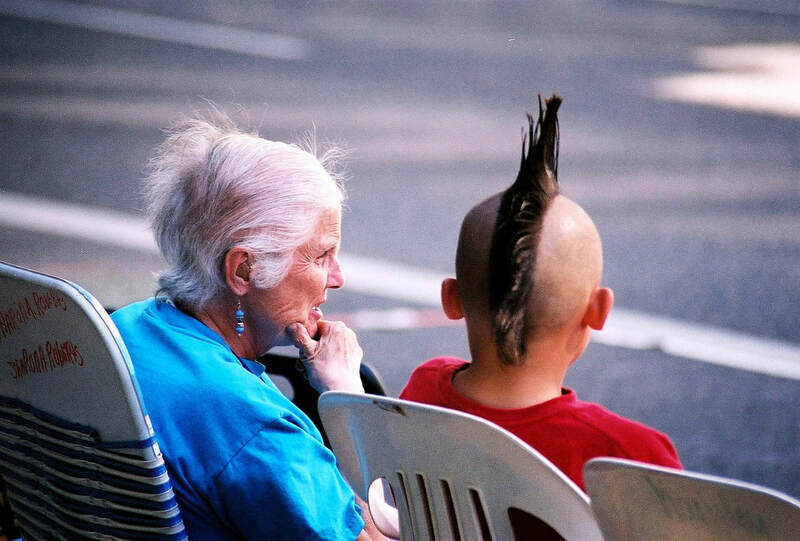 This page discusses conflict between generations. Read about the theme of conflict between characters. Priestley shows how we can all change, through the characters of Eric and Sheila who learn to become socially responsible. He creates the characters of Mr and Mrs Birling to seem foolish and out of touch. The children and parents reverse roles by the end of the play. Ultimately, through the younger characters, Priestley shows that the younger generation can accept taking responsibility and caring for others. This shows there is optimism that the future of society are taking on the Inspectors message. ‘Now you three young people, just listen to this.. by the time you’ll be living in a world that’ll have forgotten all these Capital versus Labour agitators and these silly little war scares’ (Mr Birling p7) - Mr Birling is shown to be a naive and foolish character who is out of touch and morally irresponsible. The young are honest and admit their faults. Eric refuses to try to cover his part up, saying, "the fact remains that I did what I did." Mrs Birling: ‘Eric, I’m absolutely ashamed of you.’ Eric: ‘Well, I don’t blame you. But don’t forget I’m ashamed of you as well - yes both of you’ (p57) - This quote shows that Mrs Birling still hasn’t accepted any responsibility (see the theme of Responsibility) but Eric has, conveying the contrasting morals between generations. ‘You began to learn something. And now you’ve stopped… it frightens me the way you talk, and I can’t listen to any more of it’. (Sheila, p71) - Similarly, this quote conveys the stark differences in attitudes toward responsibility. Sheila has changed from a naive character to an assertive woman who accepts blame, unlike her parents. ‘Now look at the pair of them - the famous younger generation who know it all. And they can’t even take a joke-’ (Mr Birling, p72, interrupted by a phone call) - This ironic quote shows that the younger generation have accepted responsibility while the parents are not taking it at all seriously. The four other themes of An Inspector Calls on OxNotes are Responsibility, Conflict between characters and classes, Social Class and Sexism/ Gender Differences. Click the links to read those themes.